Looking at all the latest recipes I posted, I realize I’ve been depriving you of some serious carbs. I mean sure, I made some pancakes…. but I’m talking savory carbs. 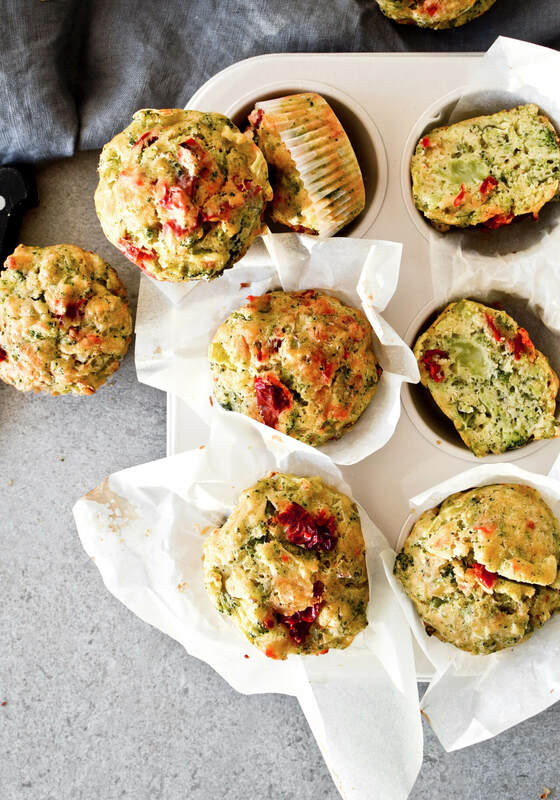 Like these olive oil broccoli muffins! Now, before I jump into these, I just want to say happy almost Halloween! Are you excited? I love Halloween, if for nothing else it’s for all the movies I always watch. Admittedly, I have not seen the remake of IT just yet, but I want to and I can’t wait for it to come out on DVD so I can rent it. I originally wanted to go out and watch it on the big screen but I’m not so sure about that right now. Anyway, if you need any movie ideas, I put together a list last year which you can find here. And may I recommend dinner as well? You should totally make these Halloween pizzas and some popcorn too. And if white chocolate doesn’t do it for you, then these rocky roads are probably more your style. I know I’m making them. All aboard the broccoli muffin train! You won’t regret it. 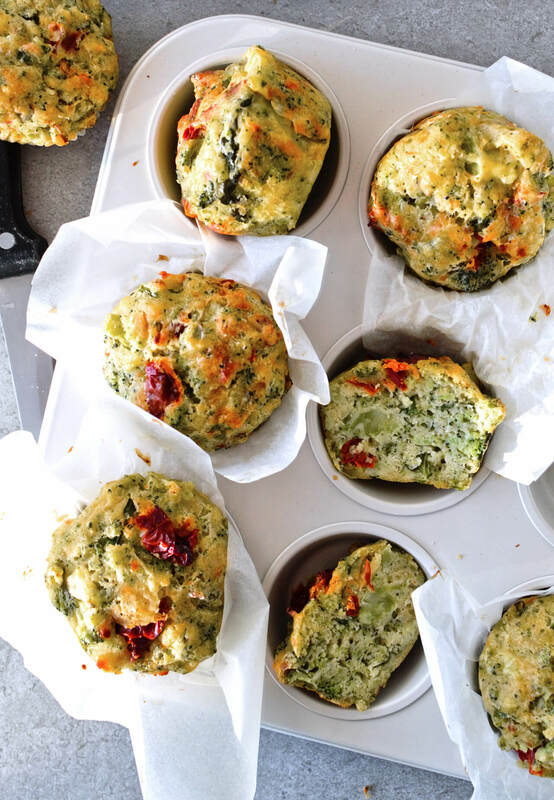 Maybe you’re thinking that broccoli and muffins don’t go together, but they really do. Amazingly well actually. 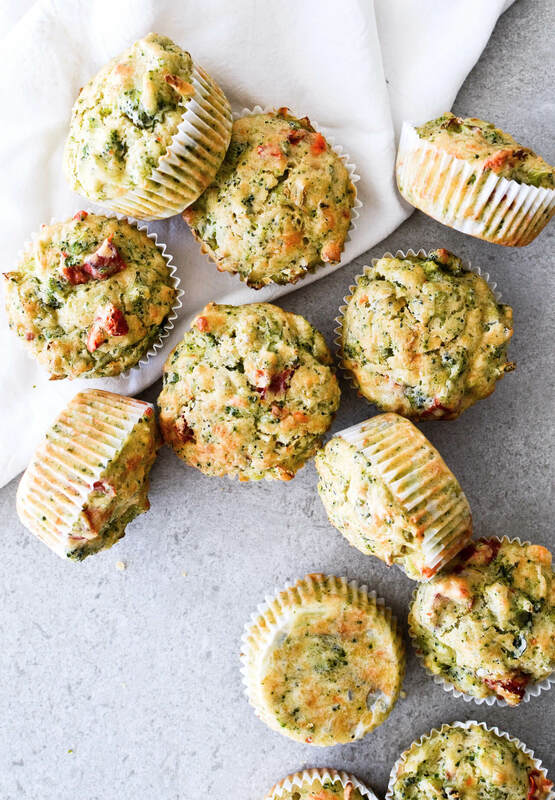 I first saw a broccoli muffin recipe in a Donna Hay magazine, but that recipe also included prosciutto which you know I can’t have. So I decided to make my own recipe that involves sun-dried tomatoes. 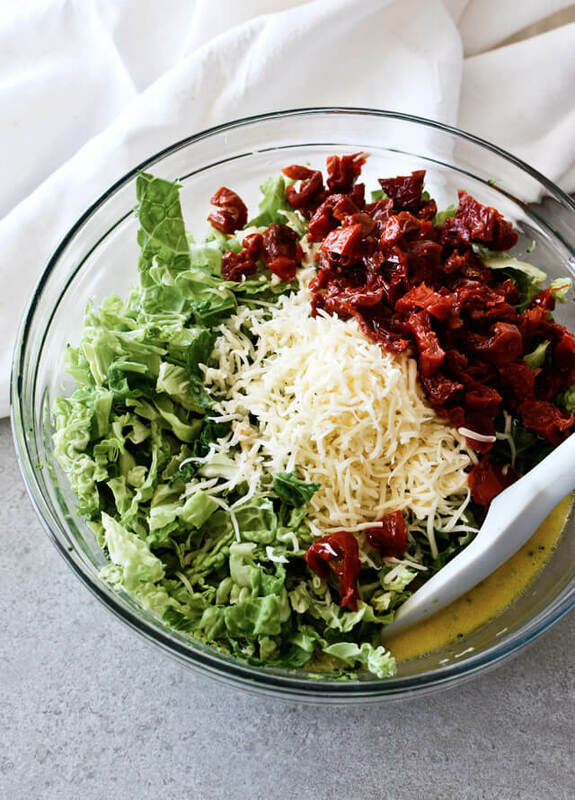 First of all, I absolutely love sun-dried tomatoes and wish I could put them on everything and secondly, they kind of have a meaty taste once you bake with them. Which is both interesting and amazing and just really tasty. 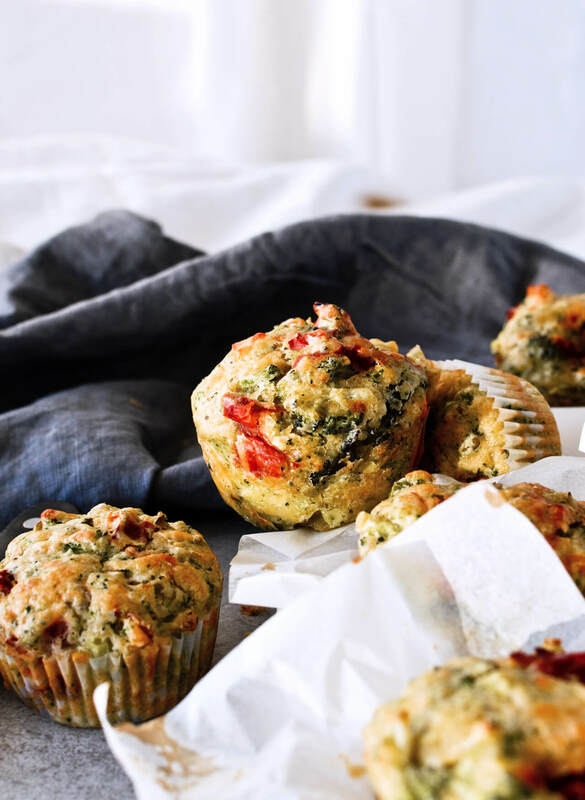 The second thing that I love in these olive oil broccoli muffins is the savoy cabbage! Yesss… I put that in too. But trust that it works. Donna Hay uses kale, which is hard to get where I live (or maybe I’m just blind and can’t find it) so I opted for savoy cabbage. 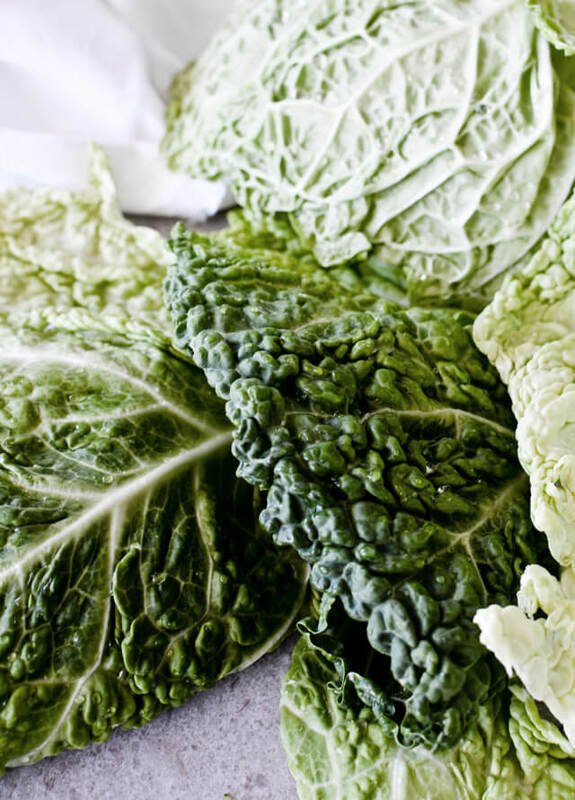 It’s pretty similar to kale actually, but milder in taste and a perfect substitute. The rest of the ingredients are pretty classic – eggs, milk, spices, olive oil (no butter here) and the mighty broccoli. 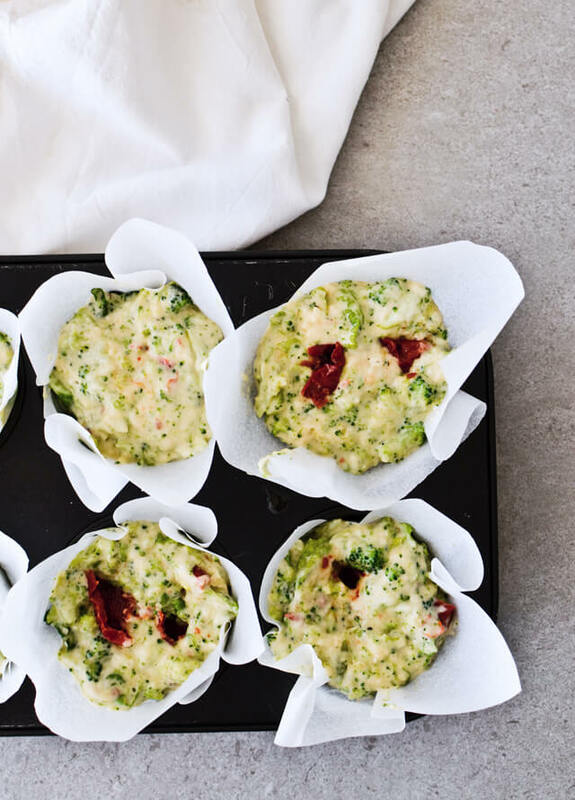 You cook it until tender and then mash it, so if you make these muffins for kids you can be pleased knowing they’re eating all the broccoli without even knowing. How cool is that? Oh, I also threw some cheese in there, because why not? 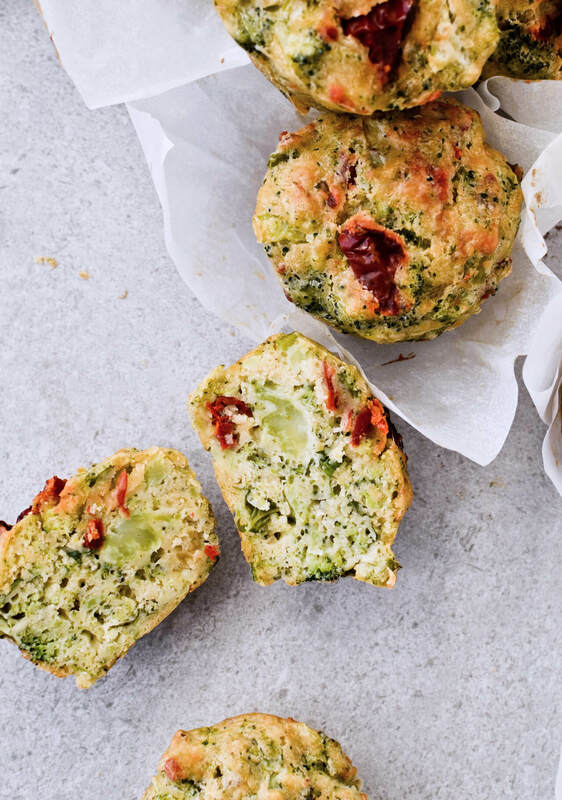 These olive oil broccoli muffins are pretty easy to make and you can eat them at any hour of the day, because they’re that awesome. You can have these as a quick breakfast on the go, or you can make a salad for lunch and munch on these at the same time. They also work as a snack or a dinner side and if you’re having people over, I think they’d enjoy these with a cold drink. 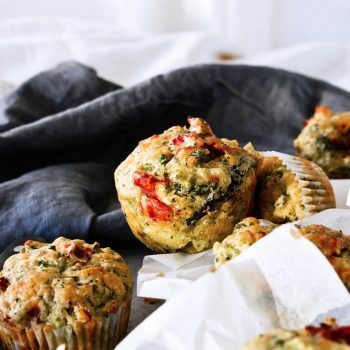 Superb olive oil broccoli muffins! Perfect breakfast on the go that is packed with vegetables. Preheat oven to 180°C (355°F). Line a 12-cup muffin pan with muffin liners, set aside. Bring a medium pot of salted water to a boil and toss in the broccoli. Cook for about 5 minutes, until tender (may take longer if your florets are big). 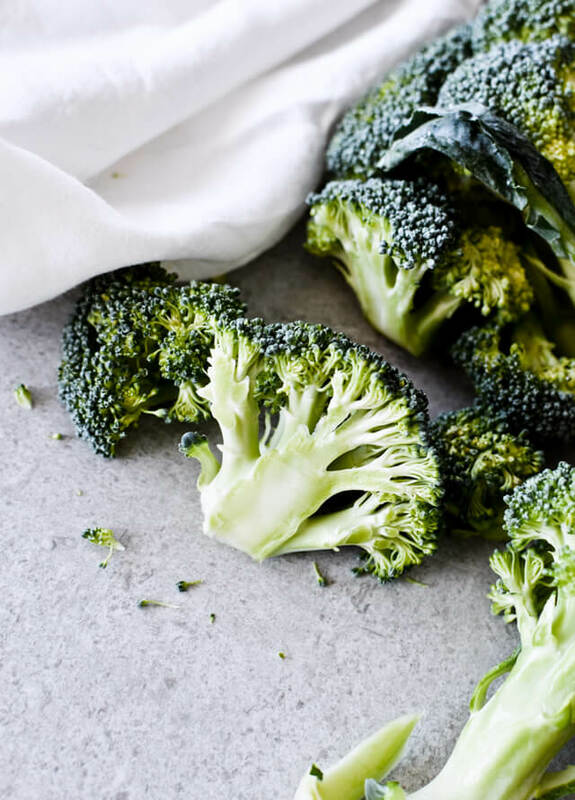 Drain broccoli and transfer to a large bowl filled with super cold water. Drain after about a minute and transfer broccoli to a large mixing bowl. Crush broccoli with a fork. Add the tomatoes, cheese, cabbage. In a separate bowl whisk together eggs, milk, olive oil, salt and pepper. Stir this into the broccoli mixture. Divide the batter evenly between 12 muffin cups and bake in the center of the oven for 25-30 minutes, until tops are slightly golden brown and a skewer inserted in the center of any muffin comes out clean. Cool muffins in the pan for 5-10 minutes, then transfer to a wire rack. Serve warm or cold. Store leftover muffins in an airtight container in the refrigerator (although I forgot mine on the kitchen counter and they still tasted fine) and eat within a day (I don’t know if these last any longer than that because we always eat them before that). About the muffin pan size: I used a standard size muffin pan, where the volume of each cup is about 120ml (1/2 cup). 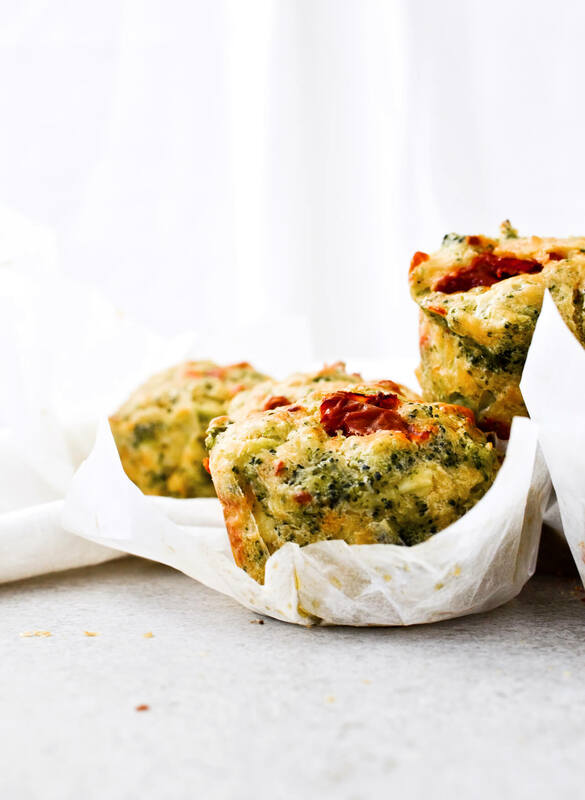 If you use classic muffin liners and fill the cups almost to the edge, you can squeeze out 24 small muffins with this recipe. Alternately, you can use tulip muffin cases (or a homemade alternative with parchment paper), which are taller and allow you to fill the cups a bit more. If you pile up the batter a bit over the edge and push it down with a spoon, you can get 12 normal-sized muffins. If you look at the images above you’ll notice the size difference, because I tried both versions. The size does not affect the flavor though. I think the bigger muffins look nicer, however some people prefer the smaller ones. You could also probably make 6 jumbo muffins, but the baking time may change. Recipe inspired by Donna Hay magazine.